A small, compact and affordable golf GPS like the Bushnell Phantom is often good enough for most golfers as it will provide all the necessary measurements needed when on the course. This GPS is made with a Bite mount that makes it easy to attach it to your cart and other metals as it uses a magnet, and a metal clip that will also help with carrying. A small, compact and affordable golf GPS like the Bushnell Phantom is often good enough for most golfers as it will provide all the necessary measurements needed when on the course. This GPS is made with a Bite mount that makes it easy to attach it to your cart and other metals as it uses a magnet, and a metal clip that will also help with carrying. There are more than 40,000 course maps preloaded on the GPS and it uses Bluetooth to update them automatically. And with a battery life of more than 10 hours, you can use it for several rounds per charge. 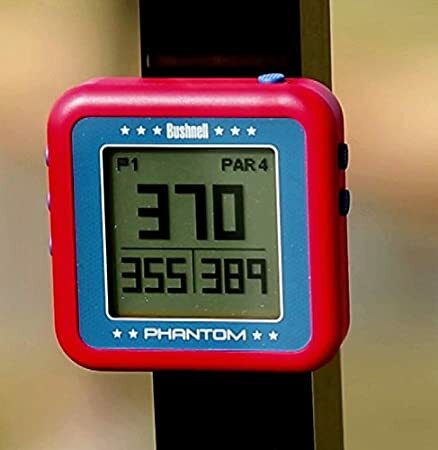 Distances: Bushnell designs the Phantom to provide all the important distances such as to the front, center, and back of the green. And it will also allow you to mark up to 4 hazards for every hole. Bite Mount: Carrying this GPS will be super easy and it will never come in your way thanks to the Bite mount technology that will allow it to attach on metal, carts or the included metal clip that you can then attach to your belt or golf bag. Bluetooth: Besides coming preloaded with thousands of courses, updating them is also fast and easy thanks to the Bluetooth feature that makes it an automatic process. Also, it helps to ensure automatic course recognition and auto hole advancement. Courses: You can almost be certain of finding your course when using this GPS regardless of where you might be in the world as it comes preloaded with more than 40,000 golf course maps from across the globe. Battery: The battery on this device is rechargeable, but the most impressive element about it is that it will last up to 10 hours to ensure that you can play several rounds without stopping to recharge it. 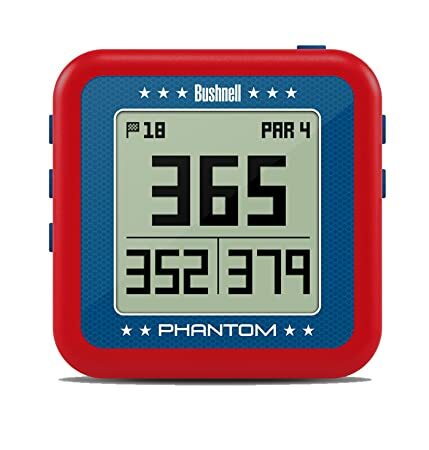 The Bushnell Phantom is a highly accurate golf GPS that is designed to ensure that you will always get highly accurate and very reliable data to help you improve your performance when on the course. Besides the accuracy, another benefit that you will get from using it is that it is easy and convenient to carry around the course thanks to the Bite mount and metal clip. 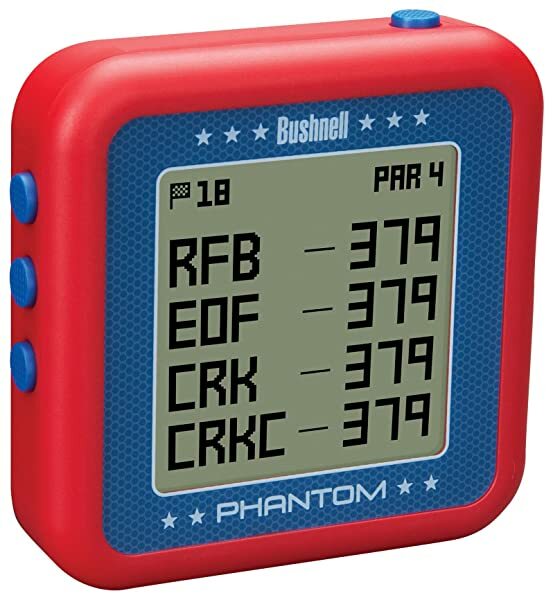 Convenience, accuracy, and ease of use are just some of the things that set the Bushnell Phantom apart from the many other golf GPS devices out there. And so you will not only always get reliable data when using this device but will also enjoy using it. Other features like the Bluetooth connectivity, auto hole advancement and the fact that it has a battery life of up to an impressive 10 hours also help to make this a great GPS device. But, you should also note that it has a few shortcomings such as the fact that you cannot use it while it is charging in your cart and the magnet/clip need to be more functional. However, this is still a top-notch quality golf accessory that you will enjoy using. And so it will be a great buy for every golfer.